Well that sure was frustrating wasn't it? The Patriots fell short 31-20 to the Jaguars yesterday and honestly, watching Blake Bortles tear apart the defense (29 of 45 for 377 yards, 4 touchdowns, 1 interception) was difficult to watch. 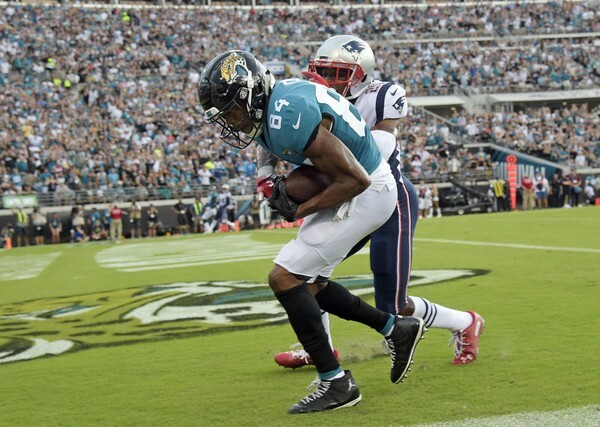 The game started out in a familiar fashion: the offense had a quick drive that went nowhere and Jacksonville drove down the field for a touchdown. Usually it takes a quarter or two for the Pats to really get into a groove, but it just never really happened. The Jags were 5 of 6 on third downs in the first half and their average receiving group looked like absolute studs. I will give credit to Keelan Cole who had a sensational one hand grab in the first half, but other than that, well it all sucked. The defense did show some life by forcing a fumble and getting what seemed to be the game changing interception by Kyle Van Noy in the second half, but the offense turned it back over shortly after. To everyone giving up on the season all ready, remember that its week 2 of a long season and this happens every year. I only begin to worry if their bold strategy of giving receivers 5 yard separation continues for a few games. The Patriots head to Detroit to take on Matt Patricia's Lions who have been nothing to brag about as of late so look for a fired up New England team to bounce back.